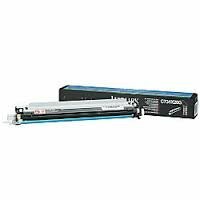 Lexmark Genuine Brand Name, OEM C734X20G Photoconductor Kit (20K YLD) (Single Pack) for C730 Series, C734 Series, C736DN, C736DTN, C734N, CS736, CS736DN, X730 Series, X734DE, X738DE, X738DTE, XS734DE, XS736DE Printers by Lexmark at MDA-MA. MPN: C734X20G. Hurry! Limited time offer. Offer valid only while supplies last.